You are here: Home > Blog > Coffee Sale. Have you tried Yunnan Coffee yet? It’s not only tea that Yunnan is famous for these days! Produced by farmers in the pristine mountains of southern Yunnan at between 800 and 1200 meters above sea level, Shangri La Farms coffee is grown avoiding the use of chemicals and pesticides. Only the highest quality beans from the harvest are selected. A portion of profits are given to the Yunnan Mountain Heritage Center in support of ecotourism and community development projects in Shangri La, Yunnan, China. Shangri La is the town in Northern Yunnan which lends it name to this Arabica roast which produces a flavourful and aromatic coffee with a crisp berry note and honey richness. 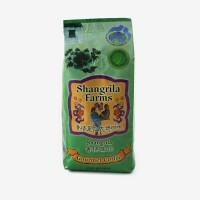 This coffee is sourced by Shangri La Farms following fair trade buying practices in support of sustainable livelihoods. Named after the sacred mountain in Northern Yunnan, this is a Mandheling roast which produces a sweet and fragrant aroma and a cup of coffee with a delicately spiced aftertaste. 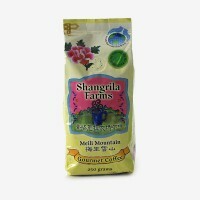 This coffee is sourced by Shangri La Farms following fair trade buying practices in support of sustainable livelihoods. To discover more about Yunnan and Shangri La, check out our blog post.